It has been quite a rainy week here on the South Coast. That was our rain total on Wednesday afternoon. Monday we had 107.2mm – Tuesday 254.5 – Wednesday 45mm. I suspect on Tuesday quite a lot of rain ended up not being counted because we had strong winds as well and several times I looked out there to see that it was raining sideways instead of down. Our rain gauge is not equipped for such shenanigans. The stormwater drains were so full, the water was flowing out into the street rather than into the drains. 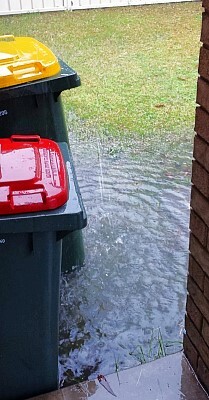 The front yard had a swimming pool next to the rubbish bins. 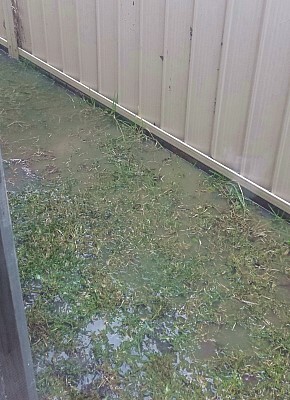 It is times like these I am really glad we put the chook coop and run up on stilts. We did that initially because of our drainage problem out there, but it has been a blessing in more ways than keeping their feet dry in wet weather. The space underneath is on slightly higher ground and the chooks hang out down there in summer because it is super shady and cool. When it rains a little, it remains dry and they can dustbathe there. When it rains a lot like this, even that area gets soaked but it is from water running across not from being rained on. They still like to venture down there and chase bugs and worms swimming by and have another place to visit without getting rained on. Their water bowls live under the coop partly to protect them from stuff being blown in when it is windy, partly to protect them from rain and also because they do spend so much time hanging out there, I really want their water to be where they are. The grassy area is a swimming pool when it rains a lot here. I am writing this on Saturday and all of this area is starting to dry out. When I visited the chooks this morning, I saw they’ve already made themselves a new dustbathing area in the slightly higher ground in the garden bed you can see in the very top left of this photo. I’m happy to say the concrete is doing very well and in particular the drain by the shed door did a lot of excellent work during these torrential rains. I’m very thankful we had it done before this happened because the driveway would be a soggy pothole covered mess by now. 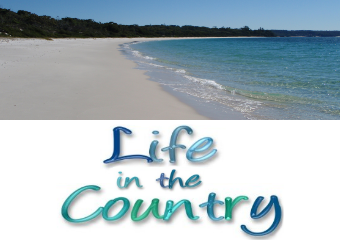 We certainly did not have the same kind of issues that people in Sussex Inlet, St Georges Basin, Shoalhaven Heads, Callala Bay and around some of the other areas near waterways. There was a lot of very bad flooding in those areas. Here are some pictures taken from a helicopter. The whole time my Aunt and Uncle were visiting, our cars needed washing but I was all.. no, lets not do that because it will rain. So I got the car washed, and then we have these huge rains. And then, I think I jinxed Mr Robot, because leading up to the finale being aired this week I was so excited and the day before I said to The Other Half “This time tomorrow we will know more”. And then they postponed it due to the shooting. On the one hand, good on them. If television episodes with shootings in them were postponed regularly in the USA whenever there is a shooting, those episodes would never, ever be aired. Seriously, the second amendment was adopted on December 15, 1791. I think perhaps, back in those days, there might have been good reasons to be carrying a gun, like wild animals roaming and in order to hunt. Wonkette wrote this great piece – Here’s How The Second Amendment Has Prevented Tyranny Lately – remember they are a sarcastic satire site however that article says everything that needs to be said. Well, almost everything. How about the fact that so far this year, on average 35 Americans every single day have been killed by gun violence. There is even a site that keeps count – Gun Violence Archive. But hey, it doesn’t matter what I think – I’m not American and there is nothing I can do other than feel deep sadness from afar. This week I did a lot of writing for the blog. Posts are pre-scheduled into October, at this stage. I also did a lot of drafts – eg I did all my Sunday Selections drafts with the dates and categories for the rest of 2015, all ready for me to put the photos into. This week I had set a goal of adding as many of the blogs on my blogroll into my Bloglovin’ as possible – most of them were already on there. If they were not already listed, I did not add them, though as a reader you always can do that. You can check out who I am following via this link or via my Blogroll page, plus new follows and blogs I am test driving get added at the end of each month in my new feeds post. 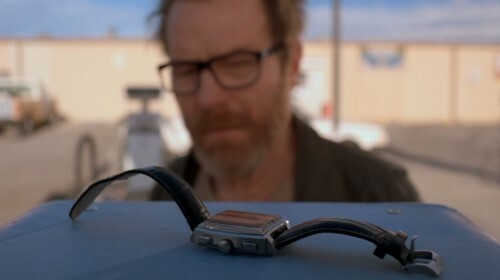 Also this week, I wrote the final posts for Rewatch Breaking Bad. I’ve given one post to Sephyroth who of course picked the best episode ever – Ozymandias – and once that is loaded in, the blog will be complete. I do not think I anticipated the huge amount of work involved in putting those posts together when I started out. I figured it would be copy and paste the text in, add some screenshots, add a couple of links. The truth of the matter – each show had to be watched and screenshots taken which was quite time consuming. On average I took around 60 screenshots per episode though I did not use anywhere near that many. A 45 minute episode paused 60 times blows out to about an hour and a half. I know the commands to edit screenshots in Photoimpact off by heart now..
For fans of Mr Robot, you might love this interview with hoodie tidbits and this interview. There is this SAG interview as well. And the people behind the Facebook page are *awesome*. You can get to know Rami Malek some more here, and did you know Rami has a twin brother? If you can stand Chris Hardwick, there is the Nerdist podcast with Christian Slater and Rami Malek. The interview starts at 5:02 and the first five minutes was *more* annoying than I expected so trust me, skip ahead. Apparently the finale will be 75 minutes long. It is important to keep watching till the end of the credits. I don’t know if it is apparent or noticeable :) but I am *obsessed* with this show. My apologies for writing about it so much! Never fear, one more episode and it is over for 2015. Anything interesting happening in your world this week? Let me know in the comments! ← Woolworths, We’re Breaking Up. That is an awful lot of rain. We had between 5 and 7 inches a couple weeks ago and there was plenty of flooding with just that amount. 16 inches is a LOT. Glad that you and the chooks are safe. How do the cats feel about it? I meant to tell you before how much I like your new driveway. Cool texture! Grumpy was annoyed she could not go outside. They usually get 10-15 minutes a day of backyard time, in which they mostly look for long stalks of grass to chew. That is a HEAP of rain. We got a little. Welcome. 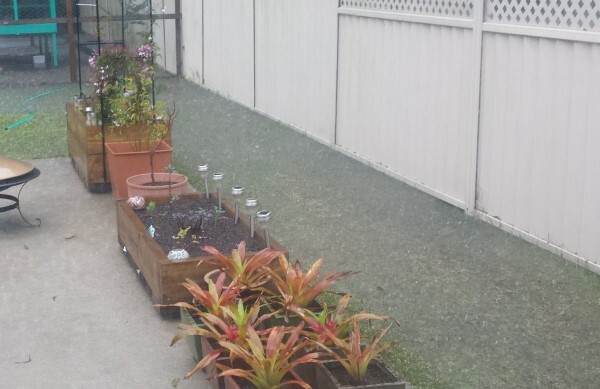 Yay for an elevated chook yard, and a bigger yay for the new drive. I share your sadness about all those gun related deaths. I think when you put something as a “right” in the constitution, taking that “right” away at a later time is going to be nearly impossible. The people who wrote it had no idea that guns would become more deadly as time went on, back then you maybe got one or two shots before having to reload. That is a lot of rain in a short time. We need some here…proper rain. Yes, you must be so pleased now with that concrete area that really came into its own. Looks like North Dakota is the safest state. Here are some figures for 2011. 11,000 homicides in the US. The larger though less populated country of Canada for the same year, 158. So much rain!! Did you know that the annual Queensland rainfall is enough to supply the entire continent with enough water? I like your chook area and that side bit with the planter boxes. The chooks love their area and they do regularly get some free range time outside the pen as well, because they can dead any funnelwebs they find.. I took them some cauliflower cuttings today and they had an awesome time attacking that. I also need to plant some more nasturtium because they enjoy eating that a lot. I might try to find some other varieties of it. Woah, that’s some water!!! We’ve had a pretty dry winter. I am busting for the Mr Robot finale. Aaaaargh. Oh me too.. I think I might asplode with the waiting! It ALWAYS rains when the cars are washed…no matter how much we try to look at the upcoming weather, it seems to despise seeing clean cars on the road. 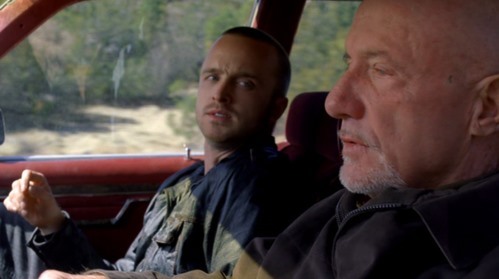 Also, Breaking Bad is amazing. I never wanted that show to end! I deeply love Breaking Bad. I was saying to Sephy yesterday that I learned so much about *making* tv from the podcasts and commentary tracks on that show. It has completely changed how I watch television forever, and I have a mini Vince Gilligan in my head who says “That’s a great shot” from time to time. I’m also superstitious about the car washing which is a good excuse to rarely wash my car! I hate the 2nd Amendment and its wackadoodle interpretation by the NRA and the gun nuts. The gun violence here is unconscionable. It’s like the Wild Wild West. We had a huge windstorm that also brought torrential rains; however it was the unusual nature of an August windstorm (with fully loaded trees) that caused many power outages and two deaths. Our trees are massive here. I could understand having a gun in the Wild Wild West. In a city full of people, I’m not so certain about it. My God, that’s a lot of rain! 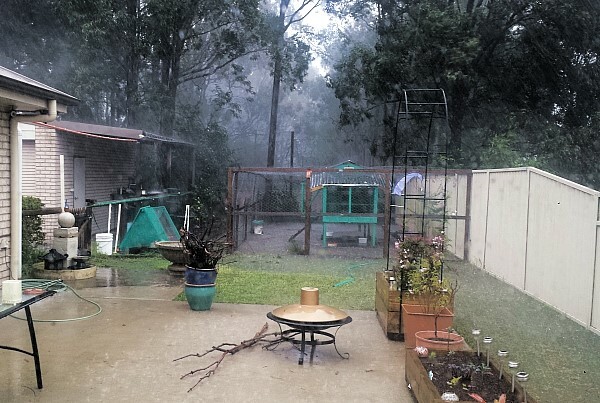 I’m not the biggest fan of day time rain, but we had an epic thunderstorm here the other evening – it was full on horror movie style – and it was glorious to fall asleep to.